With the wide-spread acceptance of Lean Manufacturing and Lean Enterprise principles, the term “non-value added activities” has come into the business lexicon. These are the activities that an organization performs that do not directly contribute to the generation of customer value. Within the context of manufacturing, these activities are categorized as one of these types of waste. Over-production, ahead of demand – wasted effort. Waiting for the next process step – wasted time. Unnecessary transport of product or goods – wasted effort. Over-processing of product due to poor process design – wasted effort. Inventories greater than necessary – wasted cost. Unnecessary movement of employees (looking for tools, paperwork, help, etc.) – wasted effort. Producing defective parts – wasted time, cost, and effort. The Lean Value Stream Map categorized all of the activities in a business process into either value-added steps or non-value-added steps. Even the value-added steps are further analysed and the time spent conducting that step is divided into value-added time and non-value-added time. Implementing Lean has led to improvements in productivity and cycle time. This has often transformed an operation; improving both customer satisfaction and profitability. But sometimes, implementing Lean has not resulted in dramatic improvements for the business. Of course there are the Lean implementation failures, which seem to occur at least 50% of the time. These are often due to poor management commitment and understanding, inadequate training, and the difficulty of culture change. But I would like to discuss a different type of failure. This is the failure to see improved customer satisfaction and the increase in sales and profitability after a “successful” Lean implementation. This condition occurs when the company misunderstands the elements of value from a customer perspective. Yes, there is value in the efficacy of the product. The customer wants it to work to the expected level of fidelity and be reliable and durable enough to continue working through the expected life. 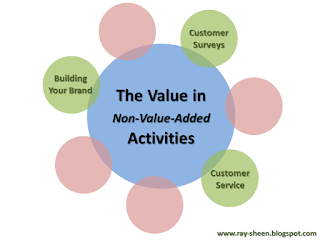 The Lean manufacturing definition of value-added activities will cover these elements of value. But many customers also want other aspects of value that are not directly tied to product performance. These include brand affinity, ease of doing business, and a sense of personal engagement with the company. Let me give you an example. Many companies have “Leaned” their customer service and help desk functions. Now when a customer calls the company with a question or complaint, they are routed into an endless series of “push this number” and “select this number” until they finally are placed on a lengthy hold, waiting to talk to a live body. Often that live body can’t answer any questions, but can only read from a script. So while the company thinks it has “Leaned” customer service by eliminating non-value-added effort, the customer feels abandoned, belittled and unwanted. Activities the company categorized as non-value-added because they did not support the manufacture of product, were activities that were very important to the customer. The result is a customer who experiences a reduction in value, not an improvement in service. An internal, product-centric view of “value” can lead a company to remove activities and functions that are important to overall customer satisfaction and that build a strong relationship with the customer. A Lean initiative needs to start with a true understanding of what the customer values. This should not be determined by the design engineers, manufacturing managers, or even the Lean consultants. This needs to be determined through voice of the customer analysis. In many industries today, the new competitive advantage is creating and establishing a personal relationship between the company and the customer. “Leaning” these customer interaction processes can destroy competitive advantage. Strong positive relationships take time and numerous positive interactions. Lean processes that minimize and eliminate interactions are eliminating value-added activities – even though the activities may have nothing to do with the product. So let me propose, as an adjunct to the list of activities used in Lean analysis to define a waste, a list of activities that define value-add. Activities that directly answer specific customer questions. Activities that provide special privileges and offers to existing customers. Activities that measure customer engagement and satisfaction with the company and its products and services. Activities in the company’s operations that create or add to the functionality of products or services. Activities that build customer confidence in the company’s brands, products and services. I’m not suggesting that a company should abandon Lean or ignore the attributes of waste. I am suggesting that a company should embrace the attributes of value. Prepare a value stream map for the attributes of value and ensure that these value-adding processes are operating smoothly. Entrepreneurs are using the terms “pivot” and “persevere” to identify strategies for decision-making. When confronted with a situation that is not leading to the desired results, they must decide whether to gut it out and persevere on the current path, or pivot to a new direction and new approach. This decisions process can and should apply to many of our business and project management practices. If your practices are not leading to the desired results, make a conscious decision to pivot or persevere. 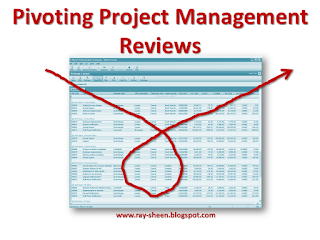 Let’s talk about the project management practice of project reviews by senior management. Are the reviews leading to better project execution and performance? 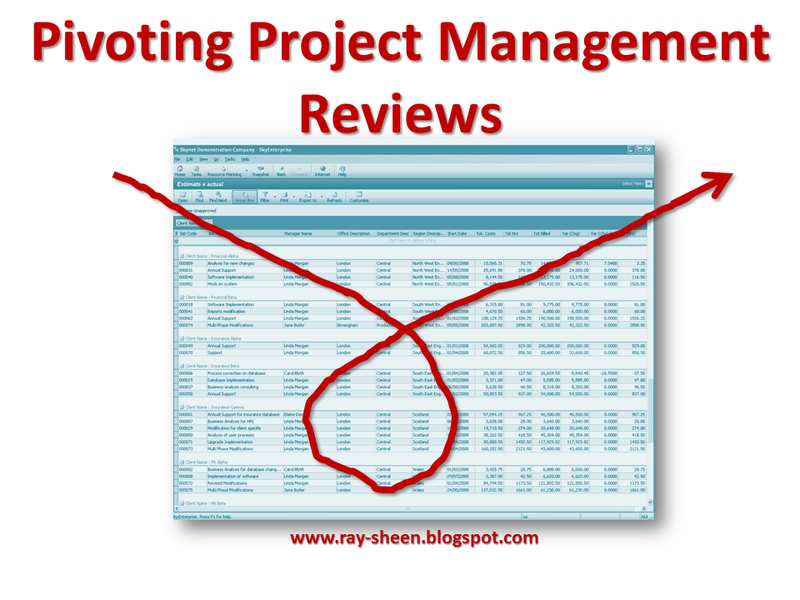 Are the reviews leading to better project selection and planning? Are the reviews leading to better project portfolio performance in terms of business impact? If the answer is, “No,” and you have been doing the same types of reviews for years, it is probably time to pivot. Let me describe the typical project management review I see when I first visit a new client. Senior management is reviewing project status on a regular basis – normally tied to the calendar. For example, one client had a weekly review a summary of all open projects and a “deep dive” on two or three projects based upon which projects were perceived to be in the most trouble. At the deep dive portion of the reviews, the emphasis was upon the status of the problems or issues that had occurred and what the team was doing about those issues. The project team received lots of “help” to fix the current problem, but there was seldom any discussion about extrapolating from the current issue to foresee future issues or to share lessons learned from this situation with other project teams so that they could avoid the same problems. My recommendation for a project management review pivot is to change from this backwards-looking, reactive project management reviews to a forward-looking preventive project review. What do I mean? The project review should be focused upon all the open and remaining risk threats on the project (not just the current crisis) and the resources and management actions needed to reduce or eliminate those threats. And when you get that working well, add a discussion about the possible risk opportunities for the remainder of the project and the resources and management actions that will enable those opportunities to be realized. The current approach leads to a “superman” mentality among project leaders. They bounce from crisis to crisis, using their superpowers to overcome each one. They don’t prevent problems, they just solve them. The leaders get great credit and often rewards for their effort. In fact they often take on “rock star” status within the organization. While they may be good fire-fighters, I would not call them good project managers. Let me relate a story from a client of mine. His high-tech firm had two major development projects underway. Both were developing new product lines using emerging technology. Both projects were large be this company’s standards – they were planned for three to four years in duration, with a budget of over $20 million, and a large team located in multiple sites. Both projects were managed by senior project leaders with strong technical, business and inter-personal skills. One project leader, we will call him Jack, was a fire-fighter. His team faced many problems and challenges and he overcame all of them. Granted it took late nights, weekends, and some creative solutions but with his charismatic personality he rallied the team and they come through. The project was a major market success. However, the project finished more than a year late and several million dollars overrun. The other project leader, we will call him Dave, was a risk manager. Dave emphasized proactive risk management. He had a well-developed plan with risk triggers and options that were used by the team. His project did have several minor fires that had to be resolved, but nothing like the problems that occurred on Jack’s project. Dave also had a major market success. 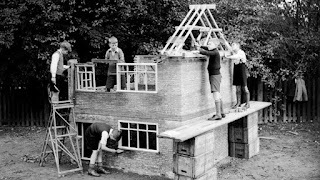 But Dave’s project was only two months late and came in on budget. So now it is six months later and the business is going through a major restructuring due to some problems in a different division. The business is downsizing and it only needs one senior project leader. So Dave was laid off. I asked the senior management why they laid off Dave instead of Jack. Their response surprised me. In their opinion, Jack was a superhero who could fix any problem, but they didn’t know if Dave could handle the stress of a major project in crisis. I pulled together a summary of the two projects, including the major challenges that each had to overcome. I identified the proactive risk approaches that Dave had used and the absence of those in Jack’s project. Several of the senior managers told me they had never stopped to consider the risk management approach in the project reviews. They never asked about risk avoidance and mitigation. They were just focused on the current crisis and what was being done to fix it. So if you want to transform your project performance, I encourage you to consider pivoting your project management review approach. When reviewing a project, I recommend the following topics. Quick review of the Project Charter. Remind everyone of the project’s purpose and goals. Current status with respect to the project plan. Make sure the team is reporting against the plan and don’t just give a list of the things that they have been doing. If they aren’t working the plan find out why. Risk issues with their response or mitigation strategies that should be encountered or resolved within the near future. Ensure the team has an adequate strategy and resources to resolve the risks. New risk issues that have been discovered since the last review. What changed to create these risk issues and what other impacts could those changes have on the project. Critical milestones and decisions that will occur on the project in the near future. These are potential risk points and senior management may want or need to engage with those activities. Changing your project management reviews into risk reviews will pivot your project management approach from reactive to proactive. I can assure you the project performance and business impact will improve. But some of your superhero project leaders may resist the change. They are fire-fighters and want a fire to fight. Risk based project reviews will suppress fires and expose these leaders as the arsonists whose poor project management practices are what started the fires. Those two words are normally considered opposites. 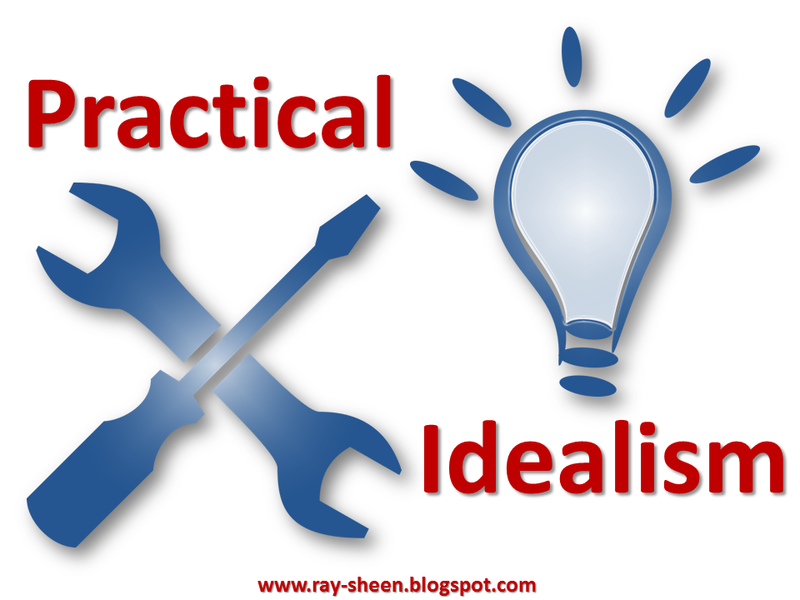 I’ve heard for years that “idealists” aren’t “practical.” “Practical” is grounded in reality. “Idealism” is wishful thinking that can’t be achieved. But by the same token, “idealists” challenge us to improve and go beyond our current performance, whereas “practical” approaches are stuck in the current paradigm. If we could put them together, practical idealism could lead to an innovative approach that is transformational. They just won their fourth straight national title – no women’s basketball team has ever done that. They have won 75 straight games – all by double figures. Their average margin of victory this season (including the NCAA tournament) was 39 points. The program has a 100% graduation rate and over 80% of the players have a GPA of 3.0 or higher. Their coach has won more national titles (11) than any other coach in college basketball – men or women. Now this type of dominance does not mean that the sport of women’s college basketball is in decline or immature. The caliber of the competition and the quality of the players has been improving for years. There are tremendous women athletes in this sport. And between all of the other teams that play women’s college basketball, there is fierce competition. In my opinion, women’s college basketball exemplifies better team play than men’s college basketball – which is dominated by individual play. It is a tough, competitive, athletic sport. Yet UCONN performs at a level that is far above everyone else. Why is that? 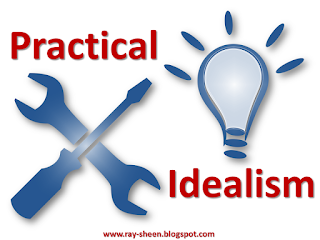 Practical idealism. Beat opponents by an average of 40 points. Team members have a 3.0 or higher GPA. What makes UCONN different is that they have established a practical approach for achieving these idealistic goals. The UCONN women’s basketball team works as hard as any college team in the nation. Their practices are tough and exhausting. They work on basic skills and on teamwork. They are constantly seeking to improve. Every turnover, every missed shot, every lost rebound from the previous game is scrutinized to understand what happened and prevent that from occurring again. While the Auriemma shows genuine care and concern for each player, he also challenges and pushes them to be their best. He refuses to accept complacency or mediocrity from any player in any aspect of her game. Granted, UCONN is able to recruit from among the best high school women basketball players. But there is lots of talent to go around in women’s college basketball today. UCONN is only able to recruit 12 players for scholarships. They have talented team members, but so do many other programs. And UCONN does not limit their schedule to playing “powder puff” teams. 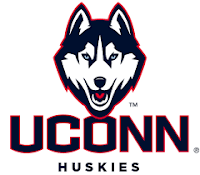 In the final rankings of women’s college basketball for the 2015-2016 season, UCONN was number one and they played six of the remaining nine (beating all of them by double digits). Early this year, Auriemma quoted Julius Caesar as the team was preparing for a game, “Vini, Vidi, Vici” – we came, we saw, we conquered. The attributes of dominance that were the hallmark of the Roman Legions 2,000 years ago were used to inspire his team this year. “We came.” They will go anywhere and play anybody. In fact, they try to schedule the best teams in the nation. “We saw.” They study their opponents and prepare for them. Some of the teams are bigger, some are great shooters, some play tenacious defense. Doesn’t matter. UCONN negates their strength, often by besting them at their own game. “We conquered.” UCONN teams hustle. They are always working hard. They dominate many aspect of the game. And even when the “second string” enters the game – often early in the second half – they continue to dominate. So what are the lessons of “practical idealism” we can learn from UCONN? First, it is OK to be idealistic. 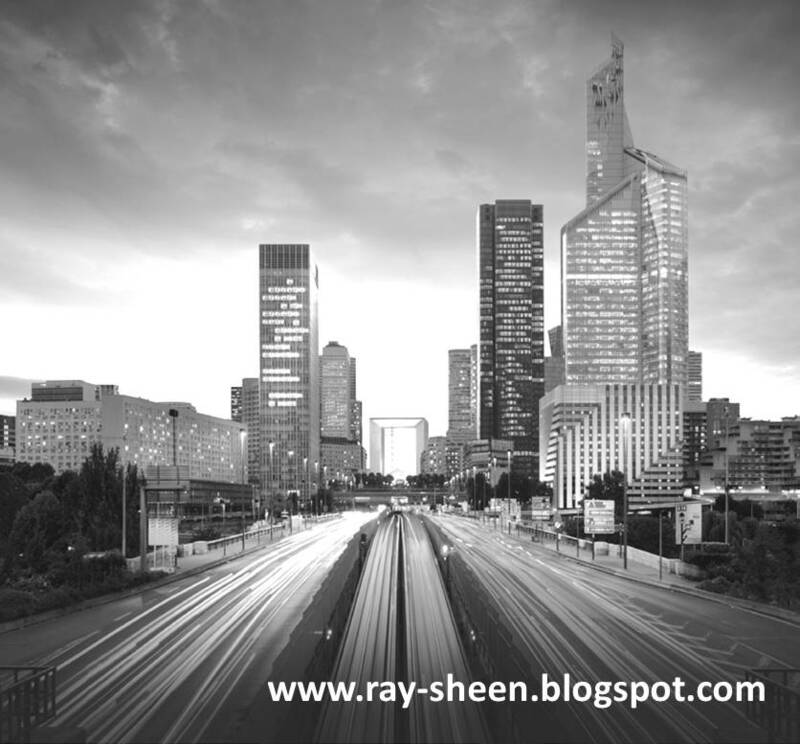 Set big goals – seemingly impossible goals. Second, recruit talented people. Find the best people available and embed them into your team. Third, work hard at the basics. There should be excellence in everything you do. Don’t accept mediocrity on any level. Fourth, study your competition to understand their strengths and weaknesses. Then work to be as good or better than they are at their strengths and exploit their weaknesses. Fifth, continuously improve. Set the standard of performance and then exceed your own standard. Sixth, coach and encourage your people fulfill their personal goals and to be successful in all walks of life. The UCONN story is inspiring. Oh, and it is also excellent basketball. 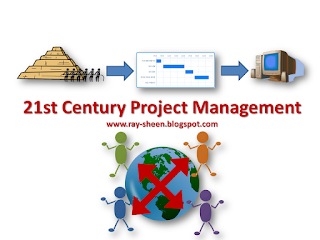 21st century project management is fundamentally different from 20th century project management. Yes, there are still start and end dates, activities and deliverables, and budgets and project teams. But the management of those project attributes is different. And if you don’t understand those differences, your projects will struggle in the 21st century business environment. Now to be clear, project management has been around for thousands of years. The pyramids in Egypt, the Roman aqueducts, and the Great Wall of China all had project managers who planned and organized the work. They may not have had the title “Project Manager,” but someone was in charge. As far as we know, none of them held the PMP credential. Since Henry Gantt did not introduce the Gantt Chart until the beginning of the 20th century, that was not available to them. And we are certain that none of them used either Microsoft Project or Primavera. Nevertheless, the projects were successful. So if projects were successful thousands of years ago despite not having project managers with a PMP, Gantt Charts, or project management software, we can conclude that project management is more than just tools and certification. There are components of the business and project environment that must also be considered. So if the business environment of the 21st century is markedly different from the 20th century, it follows that project management must also adapt to the new reality. Let’s start with a definition of project management. I will cite the one used by the Project Management Institute, “Project management is the application of knowledge, skills, tools, and techniques to project activities to meet the project requirements.” This definition illustrates the point that was just made. Project management relies on knowledge, skills, tools and techniques. If these change in the business environment, the project management practices should also change. Let’s consider some of the ways that the 21st century business environment is different from the 20th century business environment. At the beginning of the 20th century, Fredrick Winslow Taylor and scientific management was all the rage. This meant that activities were planned in detail and standardized. Everything was planned and tracked. Performance targets were set and measurements were seen as the key to good management. In the latter part of the 20th century business was transformed by computers and revolutionary changes in communication and transportation technology. These advances in science led to changes in how business systems operated. Computers dramatically improved the performance of almost all products, processes and systems. Communication and transportation changes resulted in almost all industries becoming global and operating 24/7. With respect to projects, the speed of change and the decentralization of project teams compounded the effects of project complexity and urgency. To address these issues, companies turned to project management certification and new project management tools and techniques that managed complexity. At the end of the 20th century, project management had reached a new level of professionalism. It was now a recognized management discipline and career field. Project managers had to manage complexity in a fast changing environment. They were often required to operate both strategically and tactically. 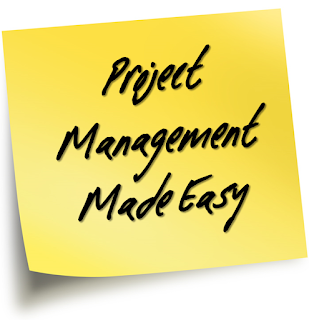 Sophisticated project management software applications were used on large and small projects. 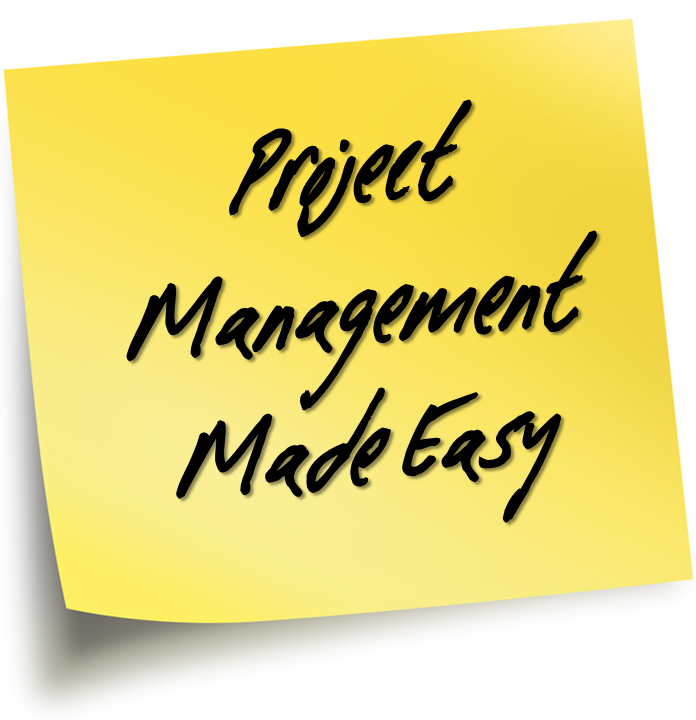 In addition, an entire industry had sprung up around project management. Many project management consultancies, training programs, books, journals, magazines, and certification programs abounded. 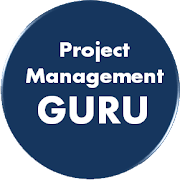 Researchers were analyzing projects to identify best practices and project management gurus were out on speaking tours. Not to mention the numerous project management software applications which were on the market. Project management was no longer an additional duty of operational managers; it was now a stand-alone management discipline. We are now well into the 21st century and we can see further business transformation. Big data and the internet of things is transforming business again. In the 20th century it was impossible for a manager of a global business operation, or even a global project, to have all information about all activities instantly available. Therefore, management disciplines focused on how to discern business performance and issues from summary information or how to infer it from a narrow slice of actual real-time data. But that is all changing. Companies can now get real-time data about all business processes, including what is happening at customers or suppliers, and make that information immediately available to managers. Computers can be constantly sifting the data looking for special conditions or patterns that the managers specify. And decision and actions can be implemented faster than most people can keep up with. The role of the manager is changing. The manager must now spend their time engaging with customers, suppliers, and employees to ensure alignment of activities and interests. The arts of negotiation, motivation, conflict resolution and empowerment are the hallmarks of good management, not directing, controlling, and analyzing. This is especially true for project managers. The project management tools and systems can now do all of the analytical side of project management. However, the diverse and decentralized project teams need a project manager who is focused on the team alignment and integration. The project manager must build a relationship with team members to ensure they are appropriately engaged. For those of us who started project management using the methods of the early 20th century (which in many cases were still the standard until the 1980’s) and have gone through the transition to the methods of the late 20th century, the thought of another transformation is daunting. But that is the reality of our today’s business environment. Will we still have certifications and project management software applications – of course. But those will just be tools in the tool box, not a measure of project management acumen. Project managers will be totally connected with technology – but the technology will not be what is managed, rather the technology will be the enabler for the project manager to work with stakeholders and team members. The more technically advanced we become, the more important the inter-personal relationships become. 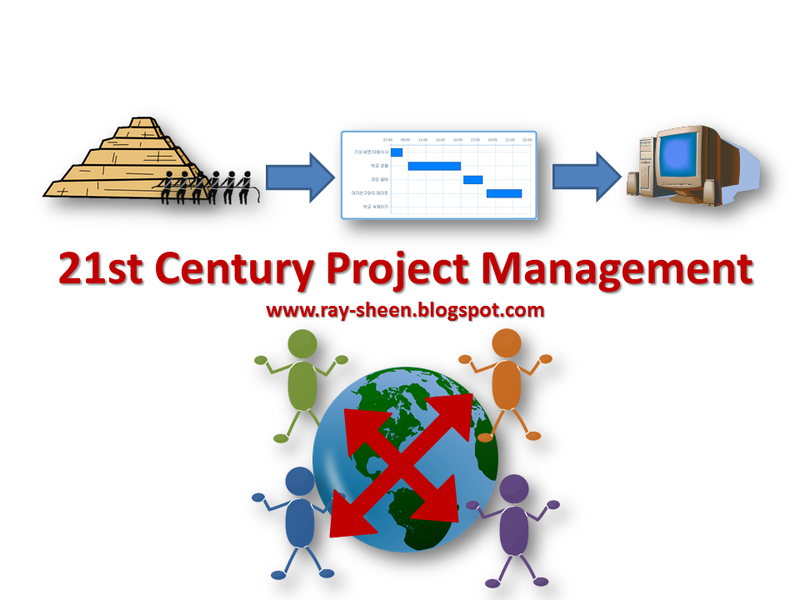 So the new 21st century project manager is first and foremost a “people person.” They are great communicators and motivators. Yes, they are technically savvy with respect to the use of project management software and communication technology. But these are just tools, the discipline of project management is not resource alignment and empowered engagement across functional and organizational lines. I was recently working with a company who didn’t understand the difference between proactive and reactive risk management on product development projects. Oh sure, they could explain the concept in a meeting, but their business practices told a different story. First, let’s acknowledge that we need both. Proactive risk management can avoid and minimize risks. But sometimes the unexpected happens and we need to respond to it when it does. A strong risk management approach will periodically assess the project to identify risks and proactively take actions to avoid and mitigate negative risks while enhancing and leveraging positive risks. And at the same time, the risk management approach will be constantly assessing progress and variances – both technical and project progress – to determine when unexpected conditions have occurred. An analysis of those conditions will lead to appropriate corrective actions or responses. 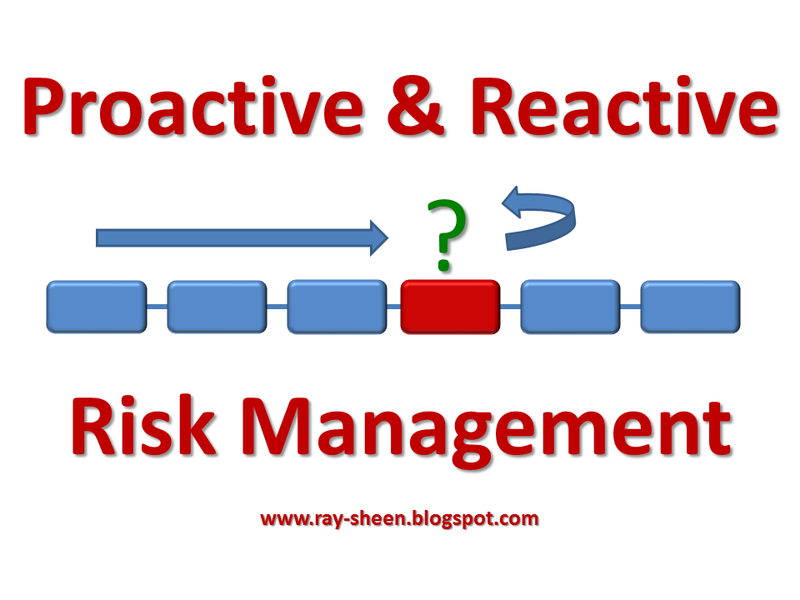 Let’s look at the attributes of proactive and reactive risk management, at least as they apply to technology or product development project. Risk is defined by the Project Management Institute as, “An uncertain event or condition that, if it occurs, has a positive or negative effect on one or more project objectives.” There are three aspects I want to highlight. First it is an uncertain event. Second it can be both positive and negative. And third, it effects on or more project objectives. Proactive risk management focuses on identifying the uncertain events and estimating the effects of the objectives. Reactive risk management starts with the unexpected effects and attempts to determine the events that caused those effects. In both cases, actions are taken to protect the project goals. However, in proactive risk management, an action is taken to avoid or prevent a negative effect or to enable or enhance a positive effect. In contrast, with reactive risk management an action is taken to recover or compensate for the already existing unexpected negative effect on the goal or an action is taken to lock in the benefits from an already existing unexpected positive effect on the goal. 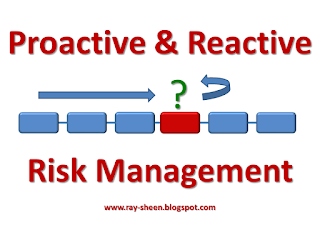 Effective risk management needs to include both proactive and reactive elements. It is obvious that if you don’t do either, disaster is likely to strike your project. But even if you do one, but not the other, disaster is still likely to strike. Let me illustrate using the experiences of the company I mentioned earlier. This company did proactive risk management for project risk events. They conducted a risk analysis shortly after the project started where they considered a variety of project risk events that could affect the project. These included schedule issues, resource issues, and some technical issues. The risk analysis was captured in a risk register, proactive risk responses were identified and most were implemented. And that was the last time that project risk was discussed on the project until the accumulating disasters caused the project to be cancelled two years later. Proactive risk management was done and the actions taken were good ones. But the company and project team did not regularly assess project performance with respect to cost and schedule goals. They just kept changing the schedule and throwing resources at problems. There were ample signs that other unexpected events had occurred and that the project plan and project approach was not working. However, the project team did not stop to assess what was going on and analyse the project to determine the root cause or causes of the risk events. Therefore they never took appropriate corrective actions. Finally two years into the project, they were approximately 18 months behind to the original schedule and the spending was nearly double the original budget. While the company did proactive risk management with respect to project goals, they did not do any proactive risk management with respect to technical goals. This was a development project using emerging technology and it was pushing that technology to an order of magnitude improvement in several of the key technical performance characteristics. In addition, the product was evolving from a complex mechanical product to a system involving complex mechanical elements, electronics, software, and systems integration with other customer systems. The project team did not do any proactive technical risk assessment. In fact technical risk was never discussed in their project reviews – just technical problems. The technical problems were addressed using a reasonable and effective reactive risk management approach. As a problem was identified, a root cause analysis was performed and a solution was created to solve that problem. But since no proactive risk management was done, the solutions often then created even more technical problems. And when a technical problem was finally solved, it would just unmask the next technical problem. The project went through a continuous set of technical problems and issues, with the result that despite dozens of systems being constructed, none of them was ever fully compliant with the specifications. Finally, after two years of work, the design team reported to management that the current design approach was not robust enough to ever meet the customer’s use requirements. If the company wanted a product that would be satisfactory to the customer, they would need to restart the development project with an entirely new concept. If the company had effectively combined both proactive and reactive risk management approaches around either the project or technical goals, the situation would have been recognized much sooner and the project could have been salvaged. The proactive project risk management made some good project enhancements. If it had continued to monitor for risk, it would have identified that something wasn’t right with the technical approach and corrective actions could have been taken. The reactive technical risk management continually fixed one problem after another, but a proactive analysis would have identified that the fundamental concept was too risky and a different approach would have been used. The lesson for project managers is to do proactive risk management early in the project. And then monitor performance, identify variances and do effective root cause analysis as the project progresses. These complementary approaches should lead to project success. There has been a lot of focus recently on customer value. Term like customer experience, relationship management, and customer-centricity have become common in the business press. But almost all of the focus has been on the B2C business environment. Now we have some data that is based upon the B2B environment – and it isn’t pretty. New products or product offerings are not sustainable because competition will soon match with similar features and functions. Pricing is not sustainable because someone can always go lower to “buy share.” Service delivery is not sustainable because that again is something that is easily matched by the competition. So what is left? Sustainable long-term growth comes from building and growing customer relationships. But most B2B companies have not invested in the relationship. As Gallup noted, “They invest in Lean, Six Sigma and other methodologies that are crucial for keeping costs down, but they don’t have a plan for maximizing their customer relationships.” Forming lasting relationships takes time and effort. And that time and effort is not episodic; it is continual. (Just thing about the time and effort needed to form and maintain a good marriage relationship.) It is not a quick hit business initiative or a new app for your phone. That is the difficulty. To truly create a customer-centric organization and build lasting customer relationships, a transformation is required within a company. It is as much about culture as it is about relationship management data and account teams. Speaking of account teams, the great relationship that is built between the customer and the salesperson will quickly be destroyed if the delivery is consistently late, or fi the invoice is full of errors. Let’s look a little closer at the relationship. One of the Gallup findings is that strong customer relationships are built upon collaboration. But many companies with B2B offerings are reluctant to collaborate. Their fear is that if they share too much of their knowledge and insights with their customers, the customers will no longer need them. The customer will be able to create and operate the products and services that the seller is trying to sell. But the only reason that the customer would even consider such a thing is if they have become frustrated with the quality, price and service that they are receiving. When the seller focuses on creating customer success and customer value, the customer is actually likely to send even more business their way. The Gallup report also talks about the need for positive proactive customer engagement and that a roadmap and an action plan are needed to make that engagement happen. It isn’t just osmosis that creates engagement. Management must purpose, plan and execute if they want to develop strong customer relationships at all points of customer-seller interaction. The report continues on to highlight the importance of a seller’s supplier network and the use of data analytics. All of these become tools to be used by an empowered cross-functional customer account team. The report is a long one, 88 pages. And there are no easy answers. If you are looking for “seven steps to attain customer centricity” you are out of luck. As Gallup notes, this is hard work and often requires an organizational transformation. However, if you don’t make the changes, but your competitors do, you won’t be in the game. Remember, 71% of your customers are ready to switch as soon as a seller shows them that they really care about customer value and customer success. People who are expert in an area love to discuss the intricacies and novel aspects of that area. Project managers are no different. But what that means is that many project management articles, books and posts are irrelevant to 99% of the people who are involved in projects. Some people (like me) may enjoy debating when to use the SPI in calculating a forecast with Earned Value Management. But sadly, I have discovered that is not a universal topic of conversation. Project management software has not made this any easier. Many of the project management software applications tout how intuitive and simple they are. But the reality is that they have automated some of the more difficult and obscure aspects of project management. In order to really use the software, you already need to be adept at project management. So for most people, the software either becomes a glorified chart-making tool or it is used as barriers to keep the “unwashed masses” out of the intricate mysteries of professional project management. But in a nutshell, project management is just organizing who does what and when they do it so as to achieve a goal or objective. When the work is very difficult, or there are many people, or there are some tight constraints around the objective; then the project management disciplines can help to identify and overcome unique issues. But it still comes down to “who,” “what,” and “when” to achieve the goal. That is why I find that most of the time when I am working with an organization that is trying to embrace project management; I need to focus on how to keep things simple. What I have found is that there are two very simple approaches to organizing the “who,” “what” and “when” that everyone can understand and work with. The first is to use “Post-it” notes and a storyboard. In this case, every activity is listed on its own “Post-it” note. I then add the name or names of who will do the activity and the start or end date. The “Post-It” notes are organized on the storyboard in whatever way makes the most sense to the team. I have organized them in columns where each column represents a week or each column represents an individual on the team. I have also organized them by grouping the tasks for a deliverable around each other in more of a mind-mapping approach. The great things about this approach are that it is quick, easy to understand, visual, and easy to maintain the status. The way I manage status is that whenever a project activity is complete, I move the “Post-It” note to the lower right hand corner of the storyboard. So it is easy to track what work is left to be done. If another required activity is discovered, just add the “Post-it” note. Updates and changes are easy to track. There are several limitations with this approach. First, you need a co-located team so that everyone can see and track the storyboard. Also, I have found that if there are too many activities it is difficult to fit them all on the storyboard and track progress. My rule of thumb is that this approach is limited to 100 activities or less. Finally, if there are many linkages between activities throughout the project, this approach does not capture that well and another tool or analysis is needed to track those linkages. With that said, most of the organizations that have small ad hoc teams for conducting part-time projects can use this approach. The next approach is to use a spreadsheet for planning and tracking the project activities. Now I am not talking about using the advanced math functions of the spreadsheet, rather I am using it as a poor man’s database. The reason I like to use a spreadsheet is because all most all mobile devices, laptops, tablets, and phones have a spreadsheet application. If I put the project plan and status in a simple spreadsheet, I can share it with a distributed team and update it any time and from anywhere. I set up my spreadsheet so that each row is a project task or activity and each column represents information about that task or activity. So one column is the task, another column is the task completion criteria – or “definition of done” – for that task. I also have a column for who is doing the work, the start date, end date, notes or comments, and current status. Another thing I like to do with the spreadsheet is change the color of the row based upon status. That way activities that are done are late or in work can pop out when your check the spreadsheet. There are several advantages of this approach. It can be easily shared with team members that are not co-located. You can easily add hundreds of tasks (I have used it on projects with over 400 tasks and activities). It is easy to sort the activities by date, by status or by who is doing the work. And as I mentioned it is portable. There are several disadvantages. One is that you can only see a few rows at a time on your screen. Another is one that was mentioned with the Post-it notes; that is that it is difficult to track linkages between the tasks and activities. When you have the complex linkages you should switch to a powerful project management software application. And you probably need a professional project manager then because of the complexity and risk. So keep it simple. Use Post-it notes or spreadsheets where possible. If you want to know more about using either of these approaches, check out my online course on the topic. I was trapped in the snow blizzard this past weekend and was not able to prepare the blog post I intended to write. So let me share this one that I wrote for Harvard Business Review and was posted on their site last week. Happy birthday Wikipedia! January 15 marked the 15th birthday of Wikipedia, the free online encyclopedia that is created by its users. I don’t know about you, but I often use Wikipedia for a quick background on a subject and to identify the in-depth references that I need for further research. The site is easy to use and often very helpful. Is it a peer-reviewed authoritative source with thoroughly vetted information? No. But when I want a quick insight to a topic or issue, it is a great place to start. Wikipedia has only been around for 15 years, but it is the 7th most visited site on the web. It beats out social media giants Twitter and LinkedIn. And it beats out the online sales giant, ebay. What makes it so popular? I believe it is because it is because Wikipedia understands its customers and has created a platform that brings value to them. The concept of an encyclopedia has been around as long as there have been books and reference libraries. The purpose of the encyclopedia was to combine the information from multiple references into one place. Before computers, this was done through books. I can remember using our family’s copy of the World Book Encyclopaedia while doing homework as a teenager. But these multi-volume sets of books were cumbersome and expensive. When Then computers came along the encyclopedias were turned into programs, the most notable being Microsoft’s Encarta. Today most, if not all, encyclopedia companies no longer offer a print version. The internet changed the way many people assimilate information. They wanted immediate access to short summaries of current information on every topic under the sun. And then if they are interested, they would dig deeper into a topic. This sounds like an opportunity for encyclopedias, yet Microsoft shut Encarta, down several years ago. Just taking the old encyclopedia model and putting it online did not create a lot of value for potential customers. When considering the value of information, I want to segment the consumers of information into three groups. The first group is the academic, researcher or professional who needs authoritative information about specific topics to do their work effectively. The second group is the student who needs authoritative information on many topics to complete their assignments. The third group is the consumer or hobbyist who wants to quickly get the background on a topic in order to answer a question. The first group were the people who wrote the print versions of encyclopedias, but seldom used them. They were already experts with far more knowledge and information in their fields of interest than could be summarized in an encyclopedia article. Their interest in encyclopedias was the prestige or pay of writing content. The second group used the encyclopedia when they had to get their information for their assignments. Rather than hours in a library, they could get what they needed in a few minutes from the encyclopedia. They had no intrinsic love for encyclopedias; they were just an easy source of information. As books and information because available online, the search engine browser replaced the encyclopedia for many students. Which brings us to the third group. Most people are curious. Sit down with neighbors and friends for a few hours and you will likely hear dozens of topics discussed. The ability to quickly find out about a topic is very enticing to many people. But the key is “quick.” With our short attention spans and busy schedules, most people do not want to go to the library a buy a book for every question they have ever had. They just want an overview. Here was the opening for Wikipedia. While encyclopedias have always been able to provide overview information, most of us didn’t want to carry the 24 volume set around everywhere we went. The search engine on the internet at first seemed like the answer, but we soon found that it often was taking us to sites that were trying to sell their products or philosophy and we had to sign up to get the information. We didn’t want a sales pitch; we just wanted an answer to the question. The value of Wikipedia to these people is that it is a free and easy source of basic information. Wikipedia further added to the value by letting the readers enhance or contribute to a topic. They have not taken an elitist attitude that restricts contribution to only an enlightened few. This allows everyone to share what they know and keep the information current. The user not only can get the information they need, they can help others learn. Segment your customer base – different users have very different needs. The academics don’t use Wikipedia for research because they have different needs, and that is OK. Wikipedia is not trying to be all things to all people. Easy access to information – when people have a question, they want the answer or at least a high level perspective on the answer quickly and concisely. If you make it hard to get the information, they will go somewhere else where it is easier. If you turn the information into a sales pitch they will suspect your motives and your information. So Happy Birthday Wikipedia. Thanks for the information and thanks for the example of value creation. As I watch the frenzy growing over the Powerball lottery jackpot, I am reminded of the history of a failed innovation project that I have been analyzing for a company. The project team kept trying one long shot idea after another, hoping that an idea might pay off. As the project became further behind schedule, more and more resources were added chasing wilder and wilder ideas. This sounds a lot like what is happening in the Powerball lottery. As the payout keeps growing (it is now estimated to be $1.3 billion dollars), I see more and more people spending money they can ill afford to spend on lottery tickets. They then cross their fingers and hope they win; just like this project team kept hoping that one of the ideas they tried might work. Ask any financial adviser and they will demonstrate that an individual will be far better off financially if they took the average amount of money the typical Americans spends each year on lottery tickets and invested that in a sound investment. Yes, someone does eventually win the lottery and they receive a huge payout, but the vast majority of people who buy tickets are losers and the money is wasted. Even many of the people now buying a lottery ticket will tell you that it is a stupid waste of money. But they are doing it anyway because the payout has become so big. The risk is the same – you are virtually guaranteed to lose your money. But the reward has grown to the point where people are now willing to take the risk. The reason the reward has grown is because there have been no recent winners. The longer the Powerball lottery goes without a winner, the larger the payout. It was somewhat similar on the innovation project. None of the earlier ideas had been feasible. An idea that gave adequate product performance was too big, or not serviceable. An idea that was the right size, couldn’t meet the specifications. It was like having some of the winning numbers on the lottery ticket but not all of them. The longer the project went without a viable solution, the more management focused on the project. Whoever came up with the idea that would work would be big hero in the company and be well compensated for their idea. So ideas kept coming. In fact, the project team was growing. People were working overtime. There was a frenzy of activity – most of it wasted effort. The project manager had no control over what was happening. Configuration control of product designs was lost. Testing was analysis was ad hoc and unfocused. Different sub-teams responsible for different components were using incompatible approaches for subsystems that had to integrate with each other. The project manager could no longer even report on project status because he had no idea what many of the people were doing. The company had lost sight of the discipline of project management. Just like disciplined investment of money will yield steady predictable growth in the value of a portfolio, disciplined project management will yield steady progress on a project. Starting with a plan and doing regular risk reassessment and pulsing of the project will identify the problems and issues. A disciplined problem solving approach will lead to an understanding of the nature of the problems and point to a solution strategy. Planning the solution and implementing the solution plan keeps the project on track and moving to a successful conclusion. Granted this isn’t the adrenaline rush of a “Eureka” moment when using disciplined project management on an innovation project. Nor does it lead to the discovery of “heroes” in the business that suddenly emerge by creating the next mega-million jackpot product line. But it will prevent the business from wasting tons of money on worthless ideas. It does provide a predictable approach to innovation and it keeps the project manager and senior management informed and involved. Incidentally, which project disciplined project management approach you use is not critical. What is most important is that you pick one and use it on your project. Just like there are many financial strategies, there are many innovation project management methodologies. You might prefer stage-gate over Agile. You may be a fan of the PMBOK Guide®, or you may be an advocate of PRINCE2. You may be able to use an industry specific methodology like APQP or IPPD. You may prefer the rigor of Design for Six Sigma or the framework of the SDLC. Pick the one that best fits you industry and culture – then actually use it. Disciplined project management does not mean nonsensical bureaucracy. It does mean that you have a plan which is followed and updated periodically. It does mean that you do regular risk assessment and variance analysis in order to make tweak the plan. It does mean that you have regular status updates within the team and stakeholders to maintain alignment and integration. These same principles apply to wise financial investing. 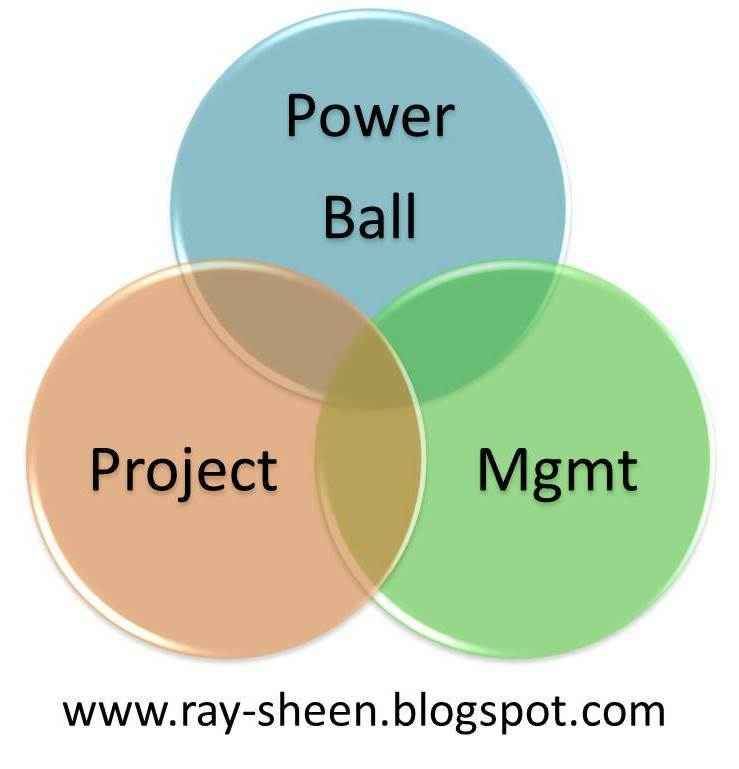 Powerball project management is a recipe for disaster. Chasing ideas with no project plan, throwing resources at problems with no structured problem solving approach, and getting caught up in the frenzy of the moment won’t bring you success. Keep in mind, the odds of winning the Powerball jackpot is 1 in 292 million. 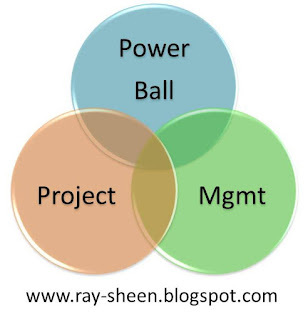 The odds of Powerball project management leading to a successful innovation are about the same. 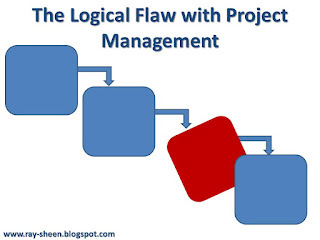 One of the reasons that companies struggle with project management is that the approach they use has some basic logical flaws. A company thinks it has some good project managers, and is disappointed when the results are poor. So the entire discipline of project management gets a bad name in that company. 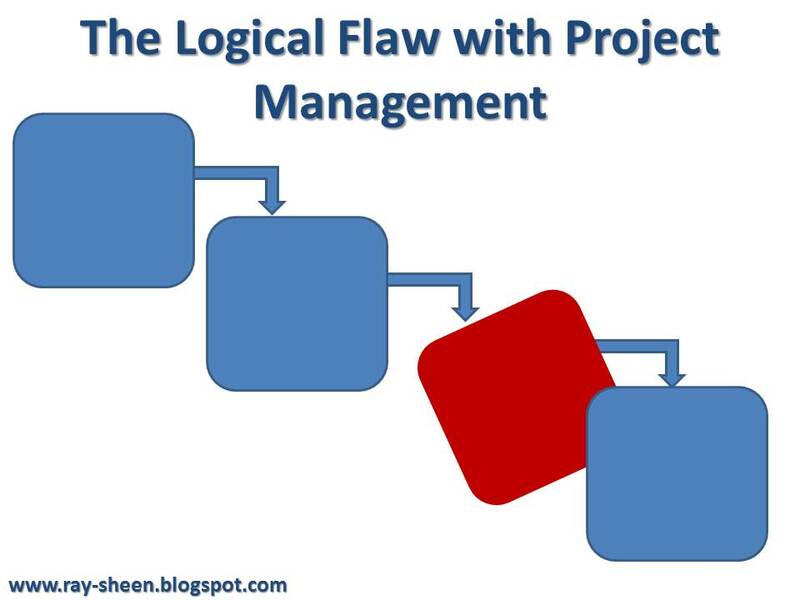 But the problem was not with using project management. The problem was that the logic behind their project management approach was flawed. Major Premise: The best project managers create project plans. Minor Premise: Bob created a project plan. Conclusion: Therefore, Bob is one of the best project managers. But then Bob’s project becomes a train wreck and Bob and the project team are clueless as to why that happened or what should be done. The problem was in the approach to project management. Let’s go back to the major premise that was used. The best project managers create project plans. There are several flaws in this logic. First, although it is true that the “best project managers” create project plans, there is no statement about what the “worst project managers” do. In fact, many of the worst project managers also create project plans. And some of those project plans use all of the latest forms, templates, software and are full of excruciating detail. Second, the “best project managers” do much more than just create project plans. They execute their project plans. They regularly do status checks and risk reviews. They manage the stakeholder interactions and project teams wisely and well. It is an ongoing continuous set of interactions that are not part of planning – but are necessary for success. Project plans come in all levels of accuracy and completeness. Project plans that are based upon incorrect assumptions about resource availability, technical capability, or stakeholder interactions are doomed from the start. I have seen many books and courses on how to do project planning. They often gloss over some of these points and instead focus on things like the format of the WBS or critical path calculations. If the underlying assumptions about the project conditions are wrong, everything else in the plan is just a fantasy. Project management gurus often talk about the need for upfront planning in a project. The focus of that effort should not be just the technical planning activities; it should be identifying and testing the assumptions and constraints. There are assumptions about business conditions and assumptions about project objectives. There are constraints on resources and constraints on project options. If any of these are missed, it can destroy the validity of the best formatted and calculated project plan. Unfortunately, there isn’t a simple (or even complex) equation that can be applied to identify and test the assumptions and constraints. Rather, the project manager must meet with the stakeholders and ask probing questions about goals and risks. They need to determine how much support the stakeholders will really provide to the project – it is just cheering on from the side lines, or will they dedicate time and money. The project manager needs to determine realistic resource capability and capacity, regardless of what is promised. These activities require cross-functional and multi-level communication skills. It is one of the hardest things to teach technical professionals. One of the most challenging aspects of this activity is that you don’t know if you did it well until the project is over – which may be months or years later. A project plan is a necessary condition, but not a sufficient condition for excellent project management. The plan must still be executed – or at least a variation on the plan must be executed. Inevitably, something unexpected happens. The project manager must be regularly pulsing the project to recognize the change and make the appropriate adjustment. A project manager who blindly follows a project plan, even after a risk or issue has invalidated elements of the plan, can lead the project into disaster. In addition to regular updates and adjustments to the plan, the project manager must interact with stakeholders and team members to ensure appropriate decisions and actions. In many cases the project team members are matrixed onto the project team. They still have other responsibilities, often simultaneously working on multiple projects. The project manager must keep them engaged and focused. This usually requires strong interpersonal skills and negotiating skills. So let’s review. An organization that only focuses project managers on creating complete and intricate project plans will likely be disappointed in the actual project performance. A good project plan is needed, but the most important aspect of planning is to understand and account for the assumptions and constraints – not just filling out forms and spreadsheets. Then once the plan is in place, the project manager must stay flexible to modify the plan when appropriate. And the plan is not enough; the project manager must engage the stakeholders and team members to keep things running smoothly and achieve project success. Major Premise 1: The best project managers create project plans based upon realistic project assumptions and constraints. Major Premise 2: The best project managers adapt their plans throughout the project to reflect changing conditions. Major Premise 3: The best project managers interact with stakeholders and team members regularly to ensure alignment and appropriate actions and decisions. Minor Premise: Jill creates project plans that are based upon realistic assumptions and constraints; she modifies them to reflect changing conditions; and she regularly interacts with stakeholders and team members to ensure alignment and appropriate actions and decisions. Conclusion: Jill is one of the best project managers. Your Guide to The Digital Changeover: eBook, Video, Assessments and More!